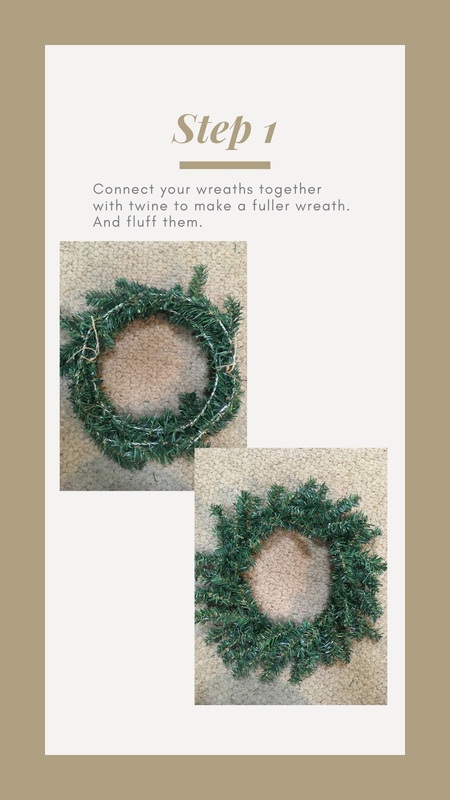 Give your home a fresh new look for the holidays by making your own wreaths. 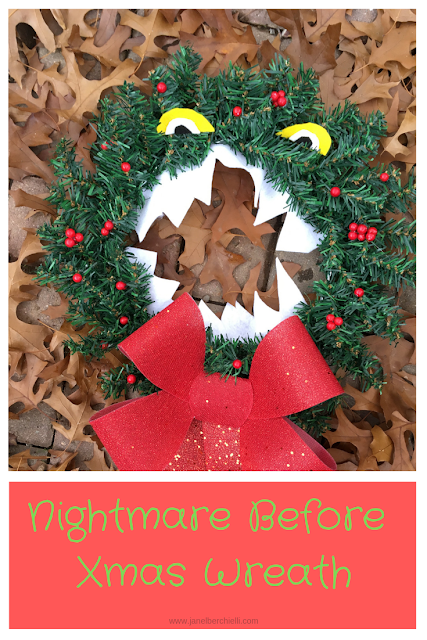 Of course it is always fun to sprinkle a little bit of Disney in your holiday decor. 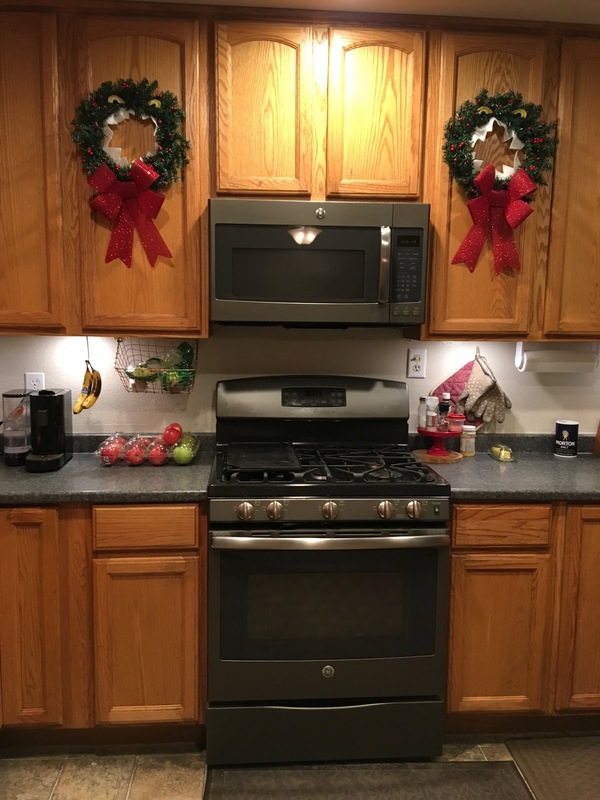 A few years ago I made a Nightmare Before Christmas themed wreath for my front door, but this year I decided to dress up my kitchen cabinets with some fun festive Nightmare Before Xmas wreaths. Connect your wreaths together with twine and fluff the branches. 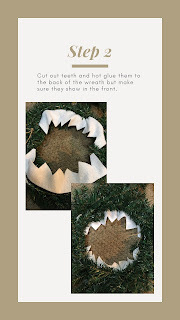 Cute out teeth from white felt and hot glue them to the back on the wreath. Make sure they show on the other side. Cute out the eyes from the yellow felt and the eye balls from the white and black. Hot glue them together. Hot glue eyes onto the front of the wreath. 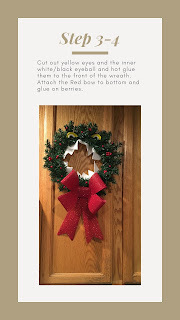 Hot glue on the red berries in random spots on front of wreath and attach the bow to the bottom front of wreath. 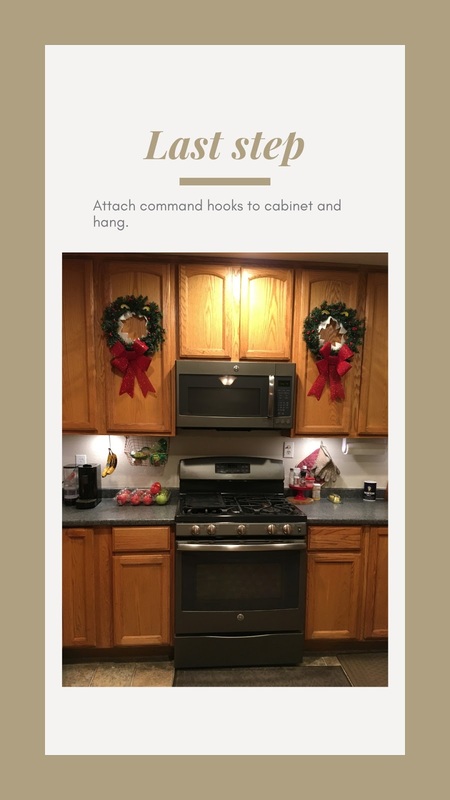 Attach command hooks where you would like the hang the wreath (I hung them on either side of my microwave for symmetry). Then hang the wreath on the hook. 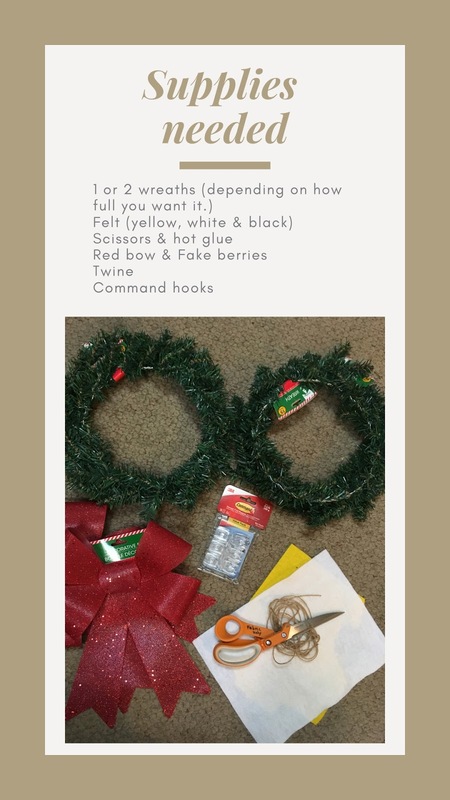 You can find all these supplies at the Dollar Tree and my total cost per wreath was under $4. It is a creative and very inexpensive way to spruce up your kitchen for the Holidays.